Here are a few important missteps you need to avoid so that your content marketing efforts don't create a big hole in your SaaS. Perhaps the biggest mistake that many SaaS companies make is approaching their content marketing as if it extends merely to inbound marketing. Of course, creating compelling content that will draw users to your business is a solid starting point, but it is simply that. At its most effective, content marketing should become an integral part of your entire SaaS marketing strategy, carrying prospects effortlessly down the path to a long-term customer relationship. So you have a library of strong content in place to attract prospects, but you might still be lacking a reliable game plan to put those captivating blogs, eBooks, whitepapers and other forms of content marketing into action. Remember that without a distribution strategy in place to target your intended audience you’re facing an uphill battle in earning that elusive traffic you deserve. Content and strategy should be an inseparable pair in the way your SaaS business operates. The worst content is the kind that is composed so broadly that it lacks a defined perspective or distinct message. Without these vital ingredients, you’re unlikely to connect with many users and are doing your business a tremendous disservice. Try instead to develop a clear buyer persona for your target audience, and present your content in a way that speaks directly to that demographic. Do you need some help getting started? Download our Guide to Create Detailed Buyer Personas! Once that happens, you should see a dramatic difference in your results. Once you’ve hooked your audience, it’s time to actively engage them with your business. For instance, if someone subscribes to your blog, that’s a clear sign that you should reach out to them and deepen the connection they’ve just established with your content. By using workflows to communicate with users, you’ll be able to customize your messaging based on the various stages of the customer journey and propel them towards a greater appreciation for your brand. Likewise, users who have decided to participate in your product to any degree -- whether it is a free trial, a demo or some variation -- should be handled far differently, content-wise, than newbies to your business. This is your chance to optimize your efforts and wow them with in-app messaging, emails and other communications to convince them of how valuable your product is. Specifically highlight past customer success stories to overcome buyer hesitation. Whenever product marketing is in play, it’s all too common for businesses to focus so heavily on all the impressive features of their product and forget entirely about the benefits that it brings to users. However, this seemingly effective approach neglects a fundamental tenet in SaaS marketing: put the customer first. Your best bet in convincing prospects to advocate for your business is to address how your product will make their lives easier and save them time. Once you’ve led prospects all the way to the decision stage of the cycle, be careful not to slip up at this critical moment. This is your opportunity to complete a conversion, and your content -- including pricing pages, product pages, and testimonials -- should all be expertly crafted for clarity and usability. Ensure that your decision content isn’t only strong but pitch-perfect. After all, it can make all the difference in your business and has perhaps the most direct impact on conversion. While it might seem apparent to some, it bears repeating to emphasize that SaaS content marketing is far more complex than it may initially seem to some companies. Even though this approach has worked for many SaaS companies, its success still hinges on the framework you put in place to deliver your message to consumers. Attention to detail -- as well as what works and what simply doesn’t -- can guide you in determining exactly which forms of content marketing best serve your audience and the nature of your product. 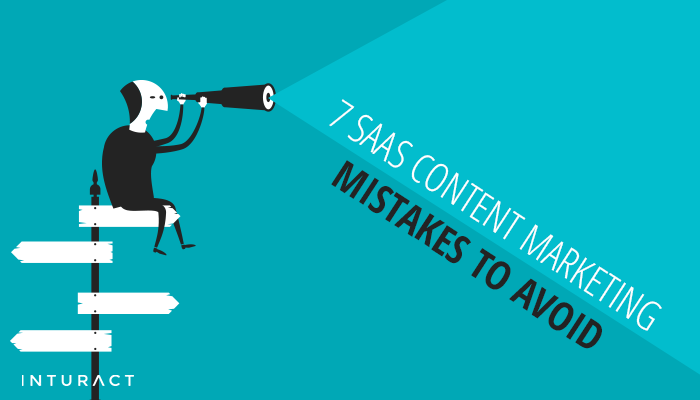 Remain vigilant, however, and we’re confident that content marketing will work wonders on your SaaS business.